Why people aren’t working; can we talk about the Fed? In her WaPo column Catherine Rampell points to the sharp decline in labor force participation rates for prime age workers (ages 25-54) in recent years and looks to the remedies proposed by Jeb Bush and Hillary Clinton. Remarkably neither Rampell nor the candidates discuss the role of the Federal Reserve Board. 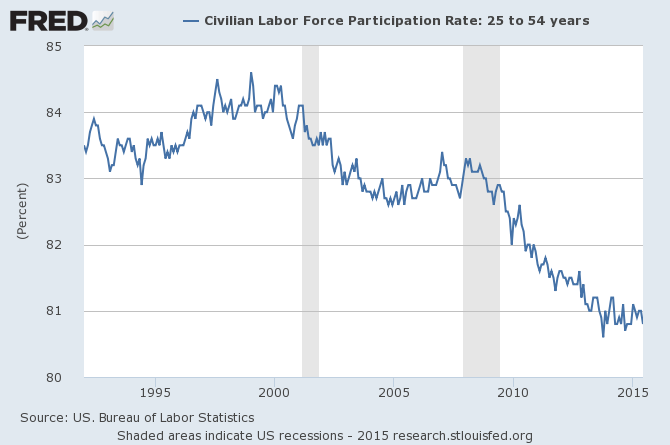 There is not much about the drop in labor force participation that is very surprising. 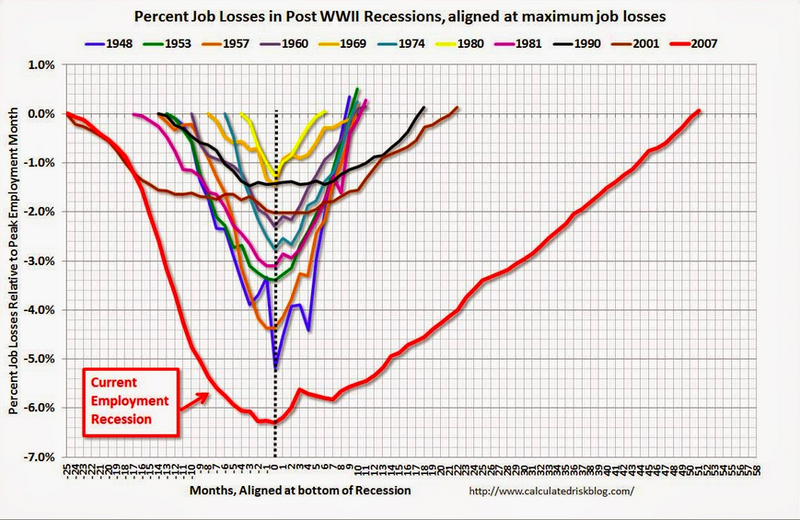 It goes along with a weak labor market. 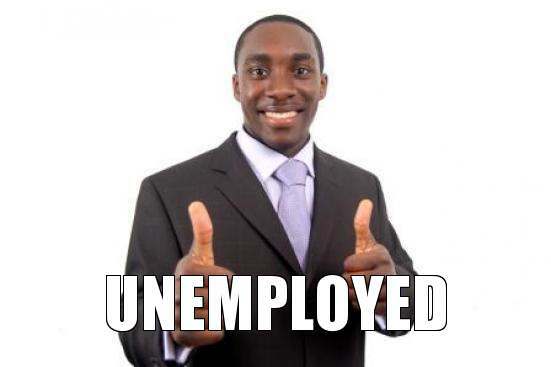 When people can’t find a job after enough months or years of looking, they stop trying. Here’s what the picture looks like over the last two decades. The electoral victory of Syriza in Greece on January 25 marked the first government that was elected with a strong mandate to finally say no to European officials who have been trying to remake Europe since at least 2010. 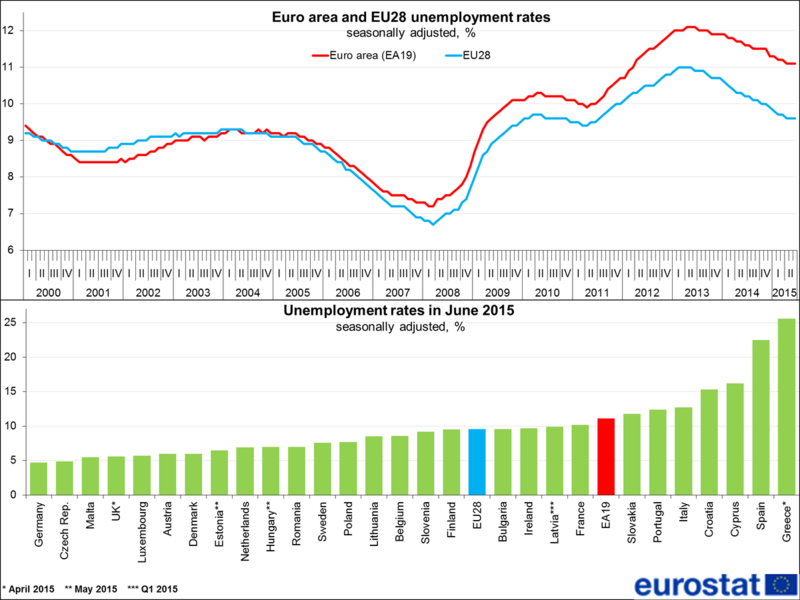 While many thought it was impossible for a small country with just 2 percent of the economic output of the 19-nation eurozone to change the course of Europe’s history, it is already happening. On Friday, February 20, European officials backed off from their threats and assaults on the Greek financial system, which had already caused more than $13 billion dollars of deposits to flee the country in January. They agreed, for the first time (and for the first country) since Europe’s post-crisis austerity began, that the terms of Greece’s financing could be renegotiated. On Monday, March 9, officials are expected to present their proposals to eurozone finance ministers. If these are eventually rejected, Greece is considering calling new elections or a referendum over its deal with lenders. As is well-known, New Classical economists have never accepted Keynes’s distinction between voluntary and involuntary unemployment. According to New Classical übereconomist Robert Lucas, an unemployed worker can always instantaneously find some job. No matter how miserable the work options are, “one can always choose to accept them,” according to Lucas. This is, of course, only what you would expect of New Classical economists. But sadly enough this extraterrestrial view of unemployment is actually shared by ‘New Keynesians,’ whose microfounded dynamic stochastic general equilibrium models cannot even incorporate such a basic fact of reality as involuntary unemployment! Irving Berlin was dreaming of an old-fashioned Christmas. I’m dreaming of an old-fashioned economy in which everyone has a job. I know, it was ages ago, but what are dreams for anyway? Isn’t it strange that full employment has to be a dream, even a quarter millennium after the beginning of our stupendous surge in wealth with the Industrial Revolution? 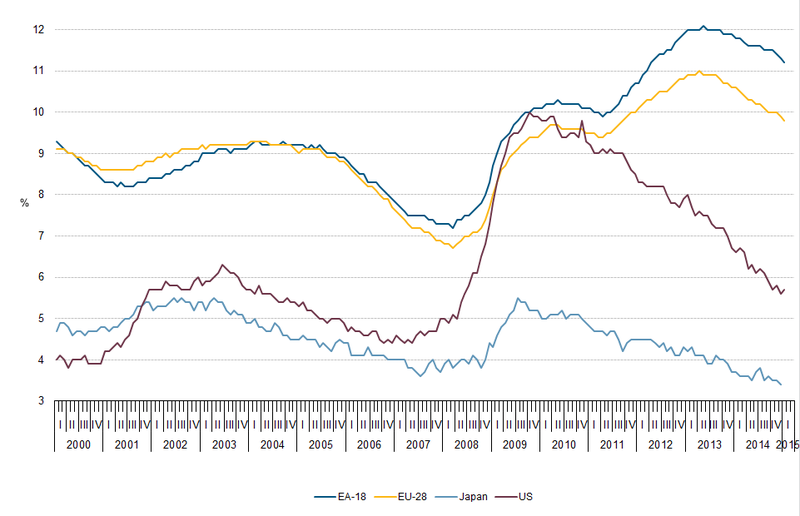 But what is full employment? Well, it’s simple enough, isn’t it? An economy in which there are enough jobs to go around for everyone. But here is where the complications begin. 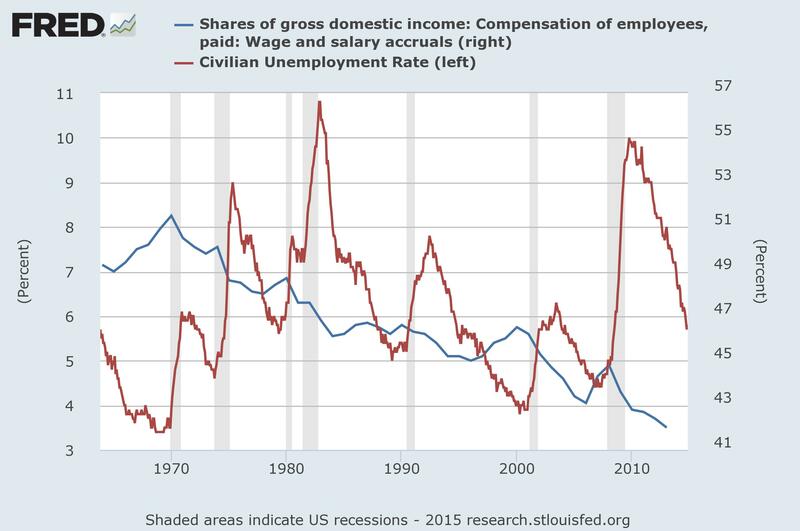 Will market forces solve the problem of stagnant wages and growing inequality? With 217,000 new jobs created in May, the U.S. economy is finally—finally, after 50 months!—back to the pre-recession employment level. The U.S. economy is still weak, with 7 percent unemployment, many millions more underemployed and less people employed in November than there were six years ago. At the same time – and not unrelated – we are still devolving along a path toward increasingly ugly inequality, with 95 percent of the income gains since the Great Recession going to the top 1 percent of the income distribution. Meanwhile, the crisis of global climate change is moving toward more irreversible catastrophic damage each year that the United States, which is responsible for more of the cumulative carbon emissions than any other country, procrastinates in making the necessary changes to reduce fossil fuel consumption. The unemployment rate edged down to 7.2 percent in September, the lowest level since November of 2008. The Labor Department’s establishment survey showed a gain of 148,000 jobs. With modest upward revisions to the prior two months’ data, this brings the average rate of job growth over the last three months to 143,000. This compares with an average rate of job growth of 186,000 a month over the last year. 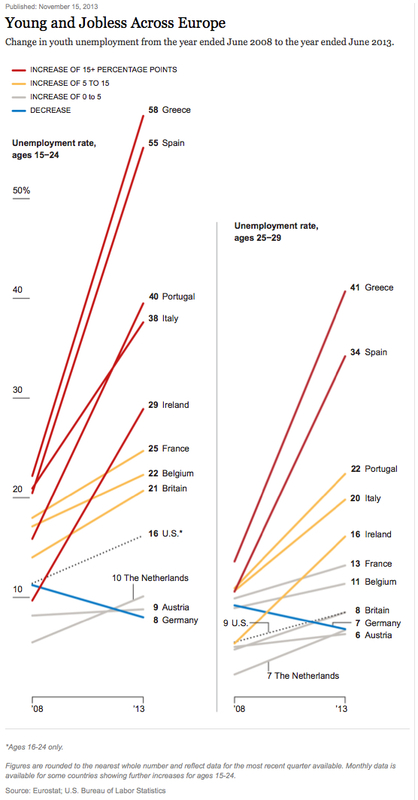 The New York Times has a piece by Steven Erlanger on the “Young, Educated and Jobless in France” that gets most of the facts right, but still might leave its readers with the wrong idea about the real labor-market challenges facing Europe and the United States.